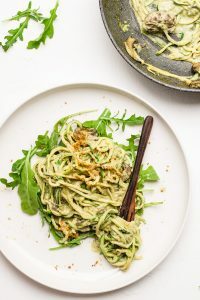 Vegan zucchini noodles (zoodles!) 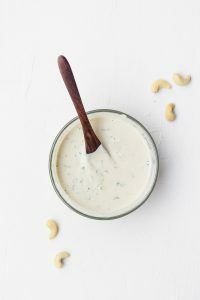 topped with an oil free creamy arugula alfredo sauce. Enjoy them raw or cooked – perfect lunch or dinner idea! 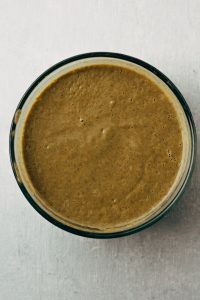 A vegan tahini herb dressing that only takes five minutes to make and is perfect for veggie bowls, burritos, tacos, and so much more. No added oil. 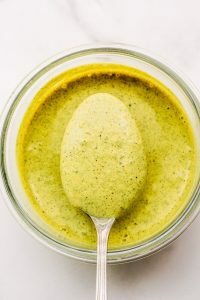 A sweet and savory oil free golden turmeric salad dressing that is refined oil free. 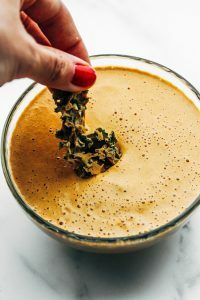 Made with whole foods plant based ingredients such as hemp seeds, turmeric, and lemon! Perfect for all of the summer salads. It’s been quite busy around here these past few days with the holidays and all. And now we move on to the new year and the anticipation of New Year’s Eve! What fun plans do you have this year?